Kerala is a blessed land! 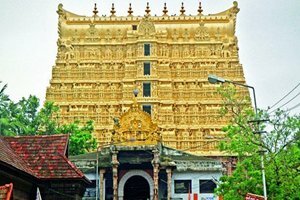 Exotic and tropical, friendly and lovely, cultivated and historic, Kerala emits a shade of gold from its sparkling temples and tropical coasts. It's easy to see why Kerala has become synonymous with paradise. Just look at these ribs, colorful coral reefs and pools calling adventurous spirits. Kerala is a country of God. 'The label associated with the state is quite fit. 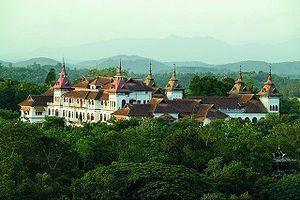 Its coasts, beautiful scenery and lush green spice gardens spell magic! 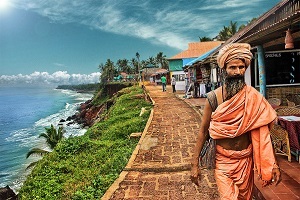 There is a deity in the beauty of the landscape of Kerala. 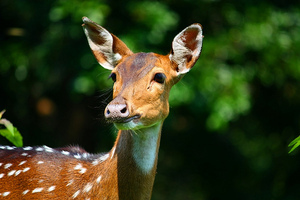 There is a good side called Western Ghats, which separate Kerala from the rest of India. 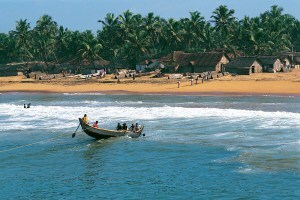 With 500 km long coastline, Kerala is the sky for beach lovers. Its diverse shoreline dish all up from lazy days and shining sunsets, to active adventures like swimming, kayaking and surfing. One can spend hours of flying moments of relaxation and tranquility at an Ayurvedic spa resort. 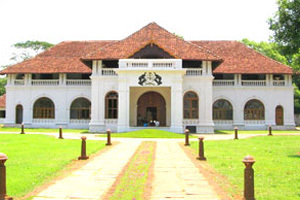 Calm, peaceful and impeccable, Kerala is one of the cleanest states in India. 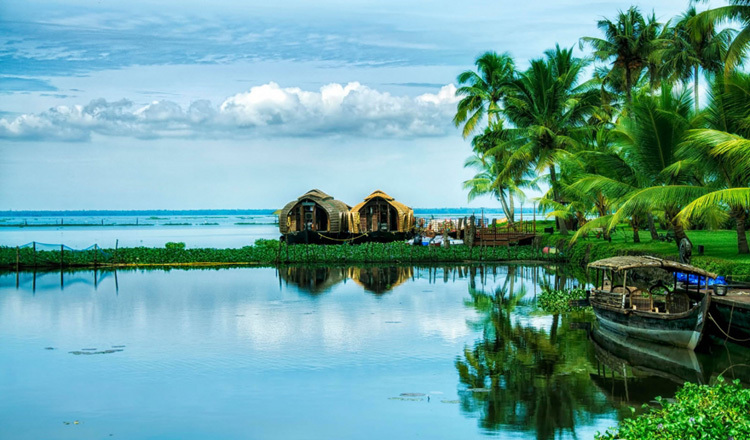 From exquisite coral reefs to vast ponds, from a body of water to the largest valleys, Kerala has a lively climatic condition that no other Indian state likes. 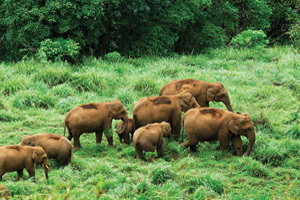 Wild landscapes, the culture of villages, the coasts-Kerala might be a small state, but there is nothing small of it. The state is a treasure find for someone who loves to visit and nature walks. There are jungle and coastal walks, boat trips and diving to keep the buzz of tourists. 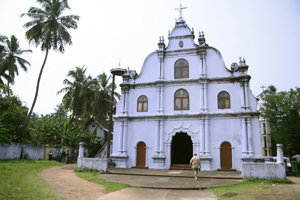 The 483 km stretch of land along the sea, dotted by hills, known as Kerala, is ensconced between the Arabian Sea and the Western Ghats. To its north and north-east is Karnataka. On its east and south is Tamil Nadu. While Kerala has only I .03 per cent of the total area (38,864 sq km) of India, it supports a nearly 4 per cent of the total national population. The state abounds in natural splendour. More than forty rivers cut across the land with their numerous tributaries and branches. 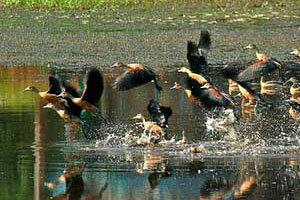 The backwaters of Kerala play an important part in the state's economy. 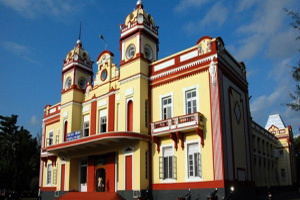 The topography of Kerala is dominated by the Western Ghats, some of the peaks of hills rising to a height of 2,000 metres. 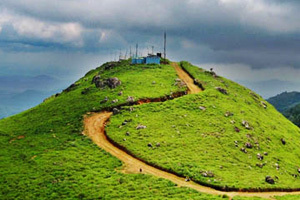 The Anamudi peak is the highest point in the country south of the Himalaya. 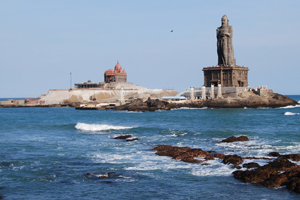 Legend says that Kerala emerged from the sea as a gift for Parasurama, the sixth incarnation of Lord Vishnu. The length of the land is the distance covered by his axe when he hurled it. 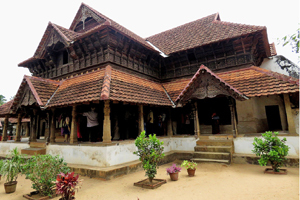 The well-known aspect of the great cultural heritage of Kerala is the Kathakali form of dance. It presents the Puranic episodes through graceful Mudras (gestures made by hands) marked by economy of movement and inspiring choreography. 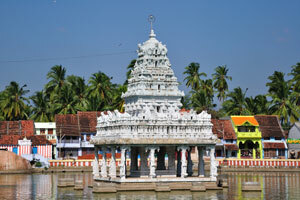 An exciting event that takes place in Kerala is known as the Snake Boat Race. It is so called because the prows of the boats are shaped like raised hoods of snakes. 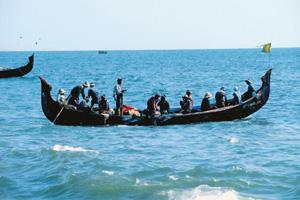 Known as Chundan Vallom, the boats are highly maneuverable. Each boat, 6 metres long, can carry a hundred oarsmen. They ply with speed and grace to the accompaniment of music from drums and cymbals.